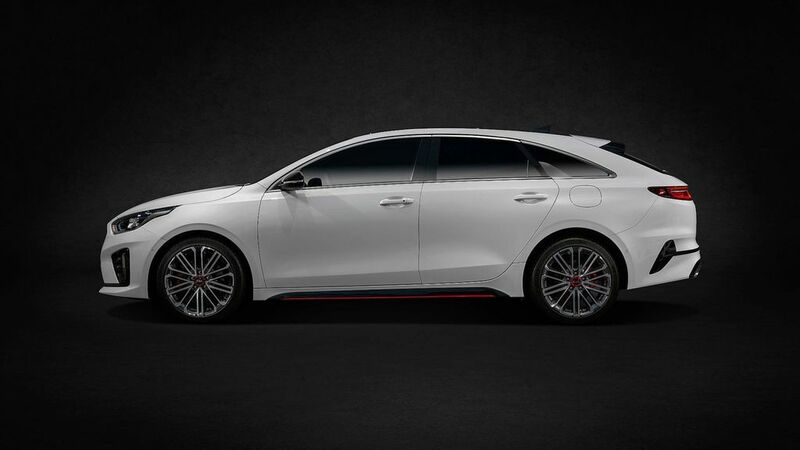 Kia has officially revealed Proceed Shooting Brake ahead of its public debut at 2018 Paris Motor Show and the concept model made its debut at 2017 Frankfurt Motor Show. 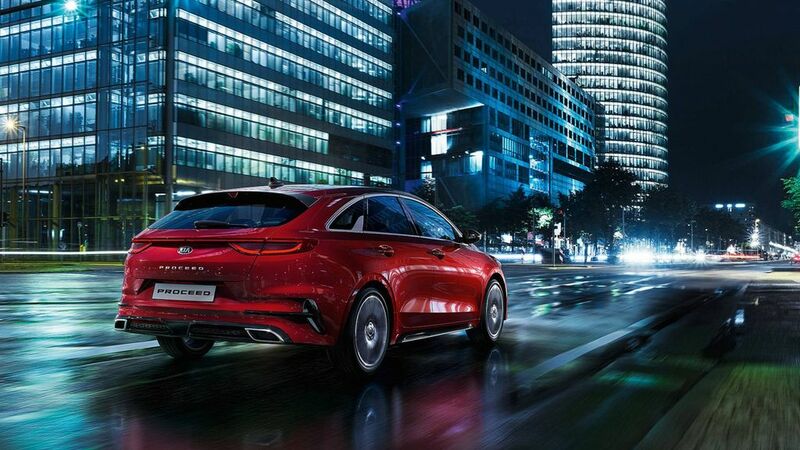 The Ceed Sportswagon, which was introduced at 2018 Geneva Motor Show is the practical cousin of Proceed Shooting Brake and the only exterior difference is towards the rear. The Proceed is 5 mm longer than Ceed Sportswagon and the company has reduced the roofline by 43 mm along with 5 mm lower ground clearance also but the 2650 mm wheelbase remains the same for both models. The roofline reduced the boot volume to 594 litres, which is 32 litres lower than Ceed Sportwagon, but the company is offering 40:20:40 split-folding rear seats. The Proceed will be only available in two trim options – GT Line and GT. 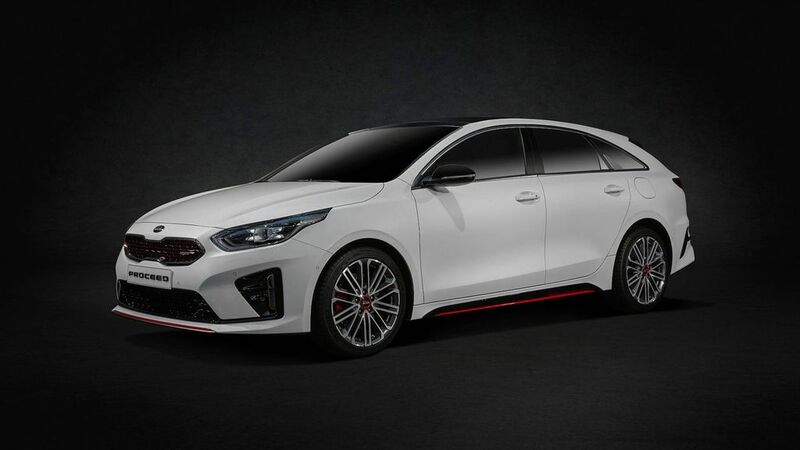 To differentiate both models, Kia is not offering Ceed Sportwagon in GT variant. The front design is exactly similar with the hatchback Ceed, but the roofline gets a new design along with new steeply raked rear windscreen giving a sporty look. The rear gets full length LED tail lamps along with new bumper and dual exhaust. The Proceed also gets new 17-inch alloy wheels as standard. 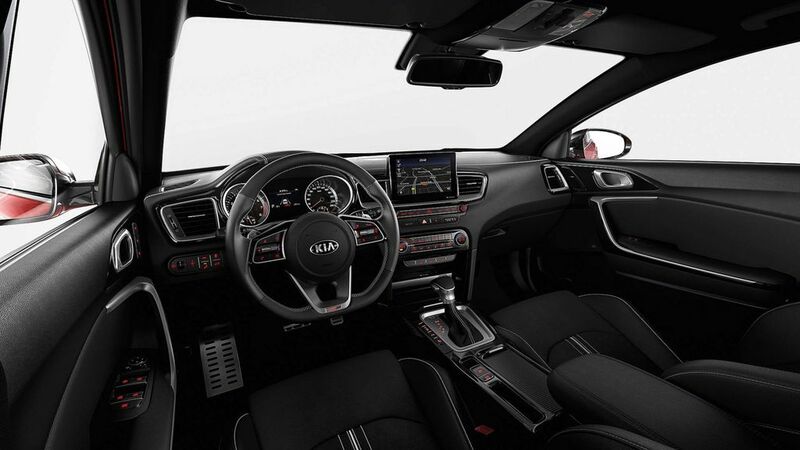 The interior design has been carried over from the regular model as the company has given three spoke multi-function steering wheel with new instrument cluster and centre console is slightly angled towards the driver. 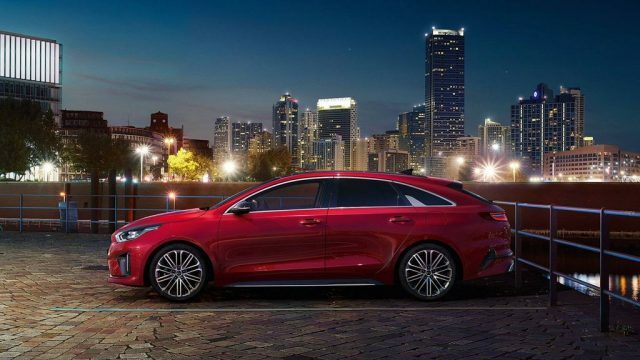 The Proceed comes with lots of features like a touchscreen infotainment system with Apple CarPlay and Android Auto, climate control, leather seats, cruise control, automatic headlamps and more. 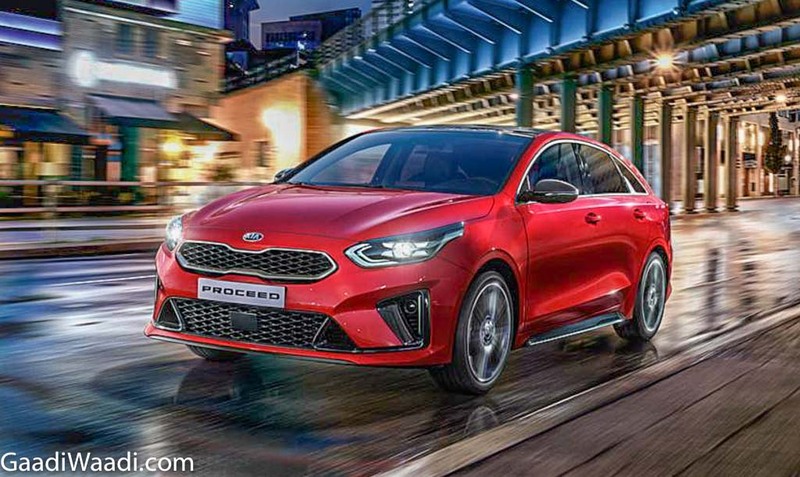 To improve headroom at the rear, Kia has placed the rear seat lower on the body, so it will come with the same headroom as the regular model even with the sloping roofline. 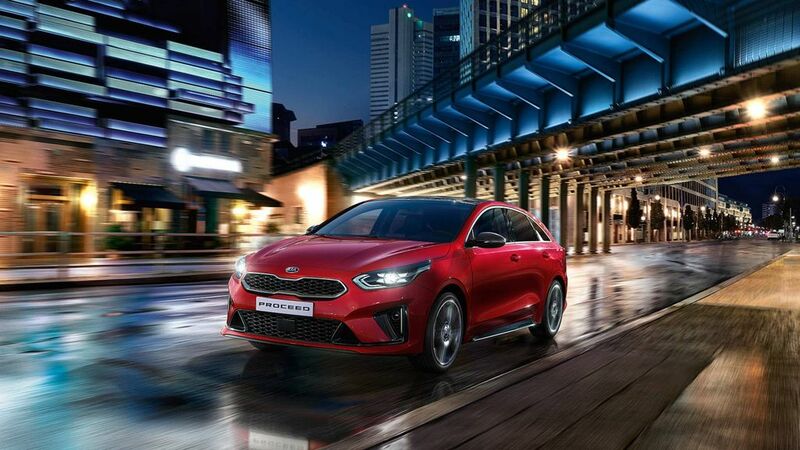 Kia has given four engine options for Proceed as the top end GT model is powered by 1.6 L turbocharged petrol engine producing 201 hp of power and 264 Nm of torque. This engine is mated to a 6-speed manual and 7-speed dual clutch automatic. The company is offering only one diesel engine, which is 1.6 L producing 134 hp and 280 Nm with manual and 320 Nm with an automatic gearbox. 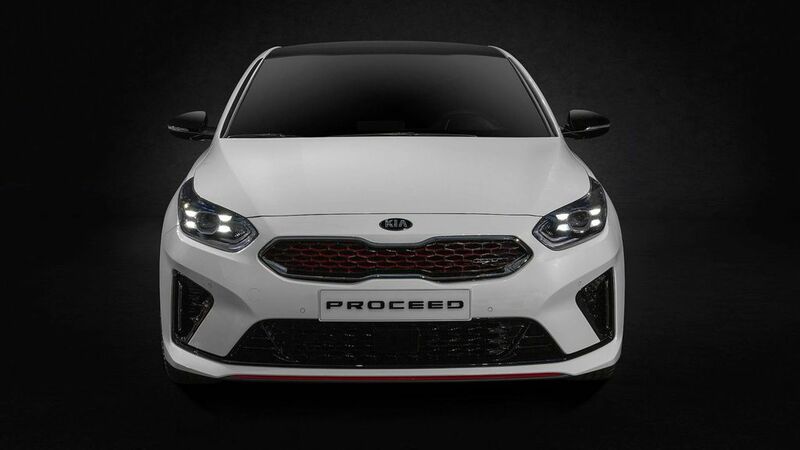 The entry-level model of Proceed is powered by a 1.0 L T-GDi three-cylinder engine producing 118 bhp and 170 Nm of torque. The 1.4 L turbocharged petrol engine produces 138 bhp and 241 Nm of torque. These engines are mated to 6-speed manual gearbox as standard, but the 1.4 L engine also gets a 7-speed dual clutch automatic gearbox option.